Arya, Anushka in the lead roles upcoming film Irandam Ulagam has reached final stages of its post production works. Makers of the film are planning to release the movie on August 9th. romantic thriller in which Arya is essaying the role of an IIT professor. Anushka is romancing Arya for the first time in Irandam Ulagam. 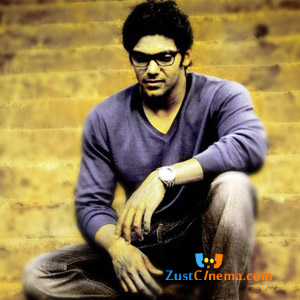 Harris Jayaraj is rendering tunes for Arya's Irandam Ulagam and the audio launch could be in earlier weeks of July. Prasad V Potluri is producing the film under PVP Cinemas banner.